It was in 1875 that Chase painted The Jester, which was exhibited at the Philadelphia Centennial in 1876. He used to tell a tale of the model for this study, who was fond of imbibing anything of an alcoholic nature that happened to be available. 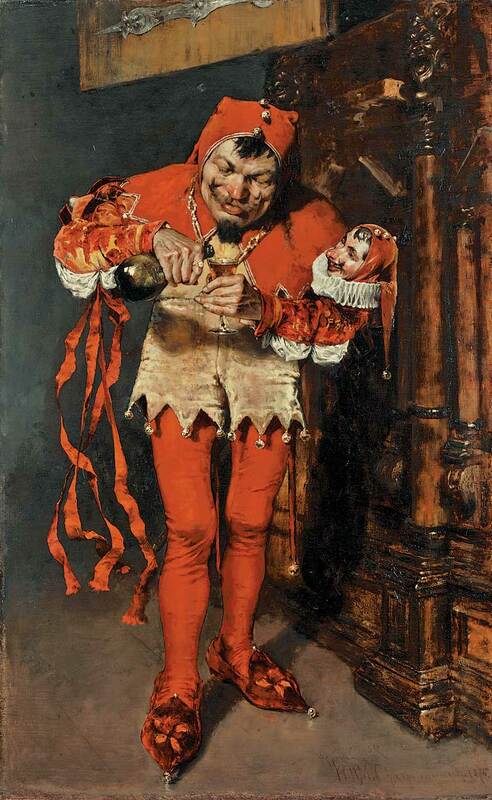 One day while the painter was out of the room the model consumed a considerable quantity of hair-tonic which Chase had put in a whiskey-bottle, with the result that the next day the jester was not present at the studio.